The new £12m Higher Education Campus is set to play a key part in the regeneration of Rotherham - boosting skills levels and attracting hundreds of students into the town centre. Rotherham College, part of RNN Group, will open the centre to students in Autumn 2018, offering a new programme of degrees and degree apprenticeships. 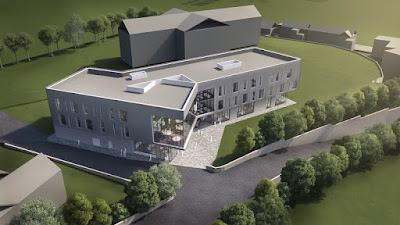 The project involves the construction of a 35,500 sq ft campus in Rotherham town centre which is set to be built on the site where the former Victorian hospital at Doncaster Gate was controversially demolished by Rotherham Council. The Sheffield City Region (SCR) Combined Authority has agreed to fund infrastructure works which will allow construction to start in June. A grant of £3.5m has been approved with the balance coming from RNN Group. An important part of the college approach is that local employers have been consulted and will be closely involved in designing courses, which will include degrees, higher apprenticeships, and HNC/Ds. They will also create links to live vacancies, and tap into professional training and updating for their workforce. It is set to provide higher level learning in areas such as IT services and digital design; health care – both nursing and technical roles; business and enterprise including management, legal and accountancy services, sales and entrepreneurial skills; construction; and engineering, where retiring workers will need to be replaced. And the approach to encouraging participation is also new: to make students feel comfortable about learning, the Centre is deliberately placed away from the further education campus in the town centre college. Smaller groups with good tutor support will help students develop the confidence and the skills to move into higher level jobs in Rotherham and across the region. They might also progress to further study and develop their career at a higher level. 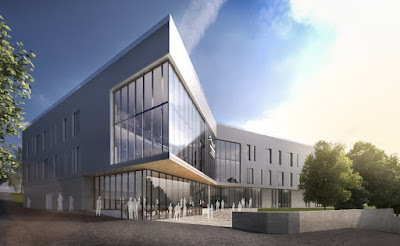 John Connolly, chief executive of the RNN Group, said: "This project will create a real skills revolution in the town, helping people to achieve things they never thought possible, without having to move away to university and have a huge debt looming over them. "There are many advantages for businesses which engage with the project too, and we have already consulted with 200 employers locally and continue to forge close partnerships with major companies, to ensure we offer courses to enhance and build the workforce of the future." Rotherham Council has supported the project in a number of ways, not least by offering the land for the college at 50% of its Full Market Value. Cllr. Chris Read, leader of Rotherham Council, said: "Having a university centre here in Rotherham is a key part of the town's regeneration and hugely exciting for the borough. "The new development will see the number of people with higher level skills in Rotherham increase, benefiting both individuals and businesses and will provide a professional venue where businesses can train their staff through programmes which suit their needs or work collectively to offer or access training." Nigel Brewster, vice chair of the Sheffield City Region Local Enterprise Partnership, added: "This is an important and welcomed development which will help both adult students and our regional businesses. "We have backed the funding because we know there is a skills gap in the region and we want to help address it. This investment in infrastructure will help companies who will be able to recruit skilled workers and grow their businesses, creating more jobs. It is an exciting and visionary way forward which will benefit the whole region." This is all well and good, but what effect will it have on residents of the local area? I am all for redevelopment, but would have liked to have been consulted on the plans, rather than them being thrust upon us. Hopefully, all will be well, but I can't help but think that Rotherham Council will have not fully thought this through. This is all well and good, but where were the planning application notices placed? I certainly have not seen any. What effect will it have on neighbouring residents? I am all for the redevelopment of the site following the criminal destruction of the former Doncaster Gate Hospital, but I would like to know what impact this will have on the surrounding streets. Hopefully all is well and it will breathe some much needed life into the town centre. These iews ,just sums up why Rotherham as absolutely nothing!